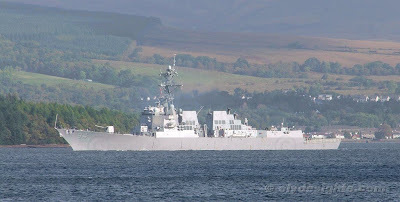 Some of the larger ships taking part in the multi-national Joint Warrior 102 exercise were berthed at HM Naval Base at Faslane on the Gareloch. These included the Danish ship HDMS ABSALON (L16), seen here making her way out to sea escorted by one of the Defence Police 'Island' class launches. The remaining 'Arleigh Burke' class destroyer USS NITZE (DDG94) also left Faslane on Monday, a day behind her sisters BAINBRIDGE and SCOUT, both of which had sailed on Sunday afternoon. 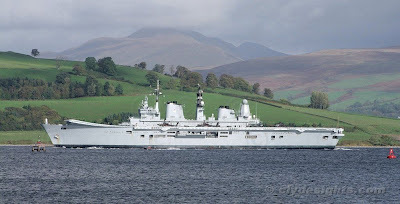 Also berthed at Faslane had been the Royal Navy's carrier HMS ARK ROYAL (R07), which for this exercise had embarked 656 Squadron Army Air Corps with three Apache attack helicopters. 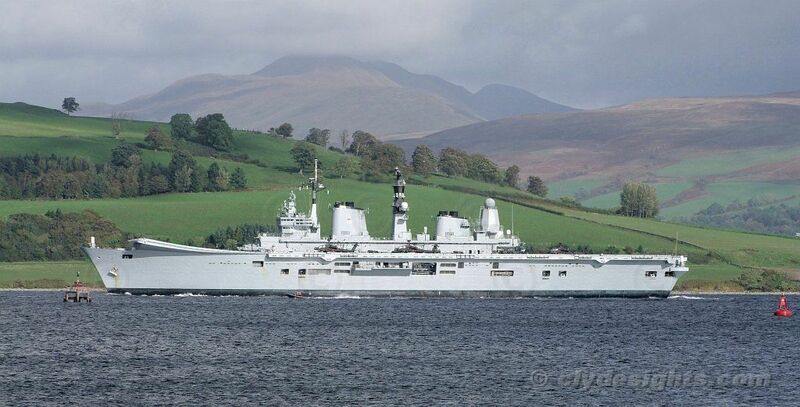 The exercise would provide valuable training for the ten pilots attached to the Squadron. 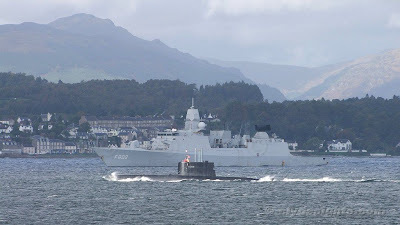 One of the smallest vessels taking part was the Norwegian submarine KNM ULA (S300) which left the Gareloch ahead of ARK ROYAL. 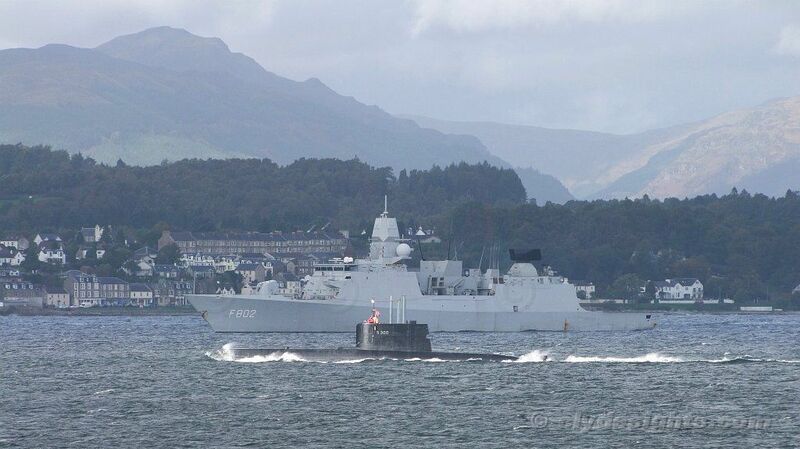 She is seen here passing Cloch Point with the Dutch frigate DE ZEVEN PROVINCIEN waiting to follow the carrier down firth.